Welcome to the January 26, 2019, issue of Newtown News Update. Back issues and subscribing information can be found here. If you do not wish to receive further updates, please use the "Unsubscribe" link at the bottom of this email. The opinions expressed here are solely the those of John Mack and do not reflect the opinions of any other person or entity. To gauge the opinions of local residents regarding this lawsuit, I started an online SURVEY on January 4, 2019. As of January 24, 2019, 111 responses were collected. Approximately 50% (56) of respondents said they lived in Newtown Township and 23% (26) were from Middletown. 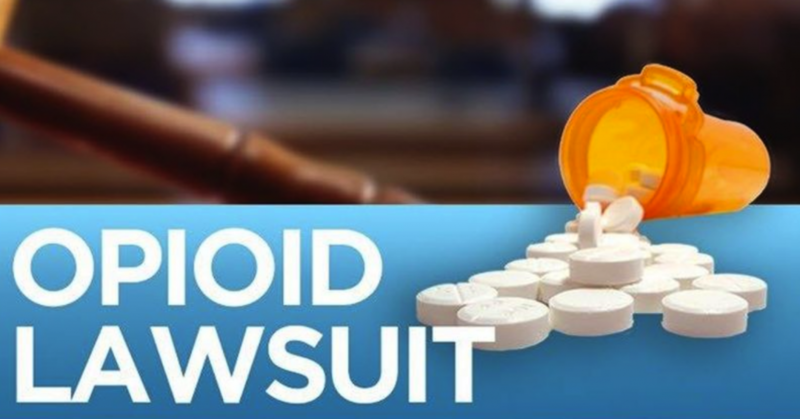 The survey asked: Given what you know about the drug industry's role in the current opioid overdose epidemic, do you support Newtown's decision to sue major opioid producers and distributors? “No” responses outnumbered “Yes” responses, although the 11% of “Not Sure” survey respondents could tip the scales the other way if they were convinced to support the suit. In any case, it is significant that 54% of Newtown Township resident respondents do NOT support the lawsuit. 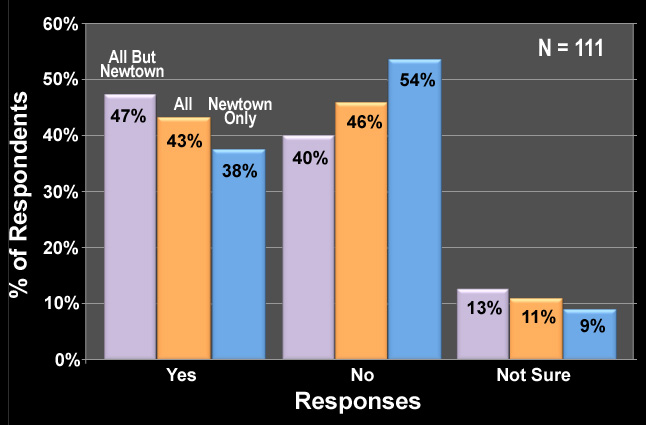 If you look at respondents from towns OTHER than Newtown Township, 47% support the lawsuit, whereas 40% do not. Notably, 54% of Middletown resident respondents say YES, they support the lawsuit and only 27% say NO. Keep in mind that this is not a scientifically significant survey due to the low number of total respondents. More important are the comments from respondents (Click Here to access a sampling of comments). When the decision to join the lawsuit was made, I said “If the Township were to get some money out of this, small as it might be, I hope that the funds are used to support opioid anti-addiction programs and implement educational programs for the general public and students.” I also noted that Newtown Township’s “24/7” drop drop-off box could be improved by making it a secure, true 24/7 box that does not require a police officer to be called to open the police lobby door during off hours and on weekends. As for the costs we are trying to recover, each police and EMS call involving a drug overdose costs the Township money. There are other costs we incur due to this epidemic (see a potential list here). Recouping these costs is definitely a business that the BOS should be attending to, IMHO. Haven’t Taken the Survey? Take It Now! 2018 Fire and Emergency Service Study Presentation - by Dr. Harry Carter, Ph.D., the consultant who prepared the report. For a summary of the recommendations proposed by Dr. Carter, read “Newtown Township Releases the 2018 Fire and Emergency Services Study” During the presentation, Supervisors asked many questions. Click Here to view the presentation and hear the questions put to Dr, Carter and his answers. Approval of a PA Department of Community & Economic Development (DCED Definition) Grant: A Resolution was passed to make a supplemental appropriation of funds in the 2019 Budget to allow $40,000 to be allocated for a DCED Early Intervention Program (EIP Definition) grant. 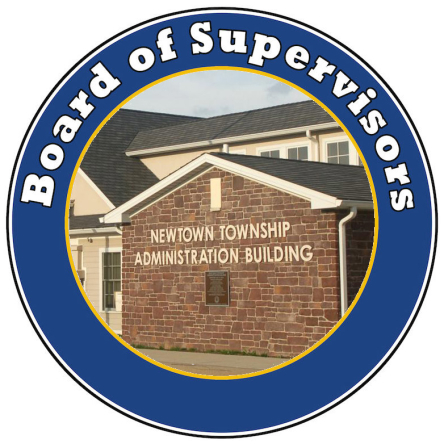 Listen to Andrew Sheaf, Local Government Policy Manager at the PA DCED as he answers Newtown Township Board of Supervisors' questions about the Early Intervention Program at the November 19, 2018 Work Session meeting. A separate resolution was passed to authorize the Township Manager to apply for the grant. 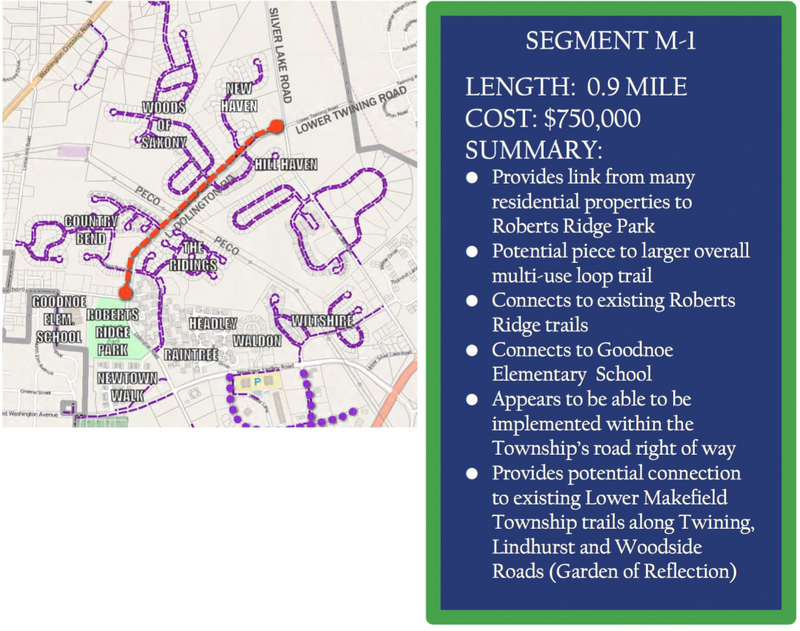 PA Department of Conservation and Natural Resources (DCNR Definition) Grant Discussion: Mr. Lewis has been identifying grant opportunities to implement the Newtown Township Comprehensive Trail Program. The priority is to complete the Lower Dolington trail funding as it is the number one trail on the list of trails in the Trail Program, which was adopted in 2016. The development of this Multi-Use Trail, which runs from Frost Lane to Upper Silverlake Road, will fill in an existing trail gap and provide a safe route between recreational, institutional, and residential land uses. The typical required funding match for DCNR Grants is a 50/50 split, with the grantee (Township) providing 50% of the requested funding amount. The Township has allocated funds in the 2019 Budget from the Recreation Capital Fund towards the required match for the DCNR grant. The construction/development portion of this segment M-1 is expected to cost roughly $800,000. The Board authorized Mr. Lewis to apply for the Grant. Follow me on Facebook to see updates from me in your Facebook News Feed.